Composition in its simplest form concerns that which you have chosen to photograph. Literally the things that are in the picture. A headshot photograph would primarily consist of a photograph of a person’s head, a landscape picture would be of a landscape of some description, (although the nature of a landscape is open for discussion). The fact that you have chosen to make a photograph of something means that a compositional process has already begun, you have seen something that you have deemed worthy of capturing. The process also consists of that which is not in the picture. Putting the same person from the aforementioned headshot and taking it in front of a white backdrop means no unnecessary background detail that might detract from your subject matter – the image has a clarity of purpose that makes the photo easy to read. 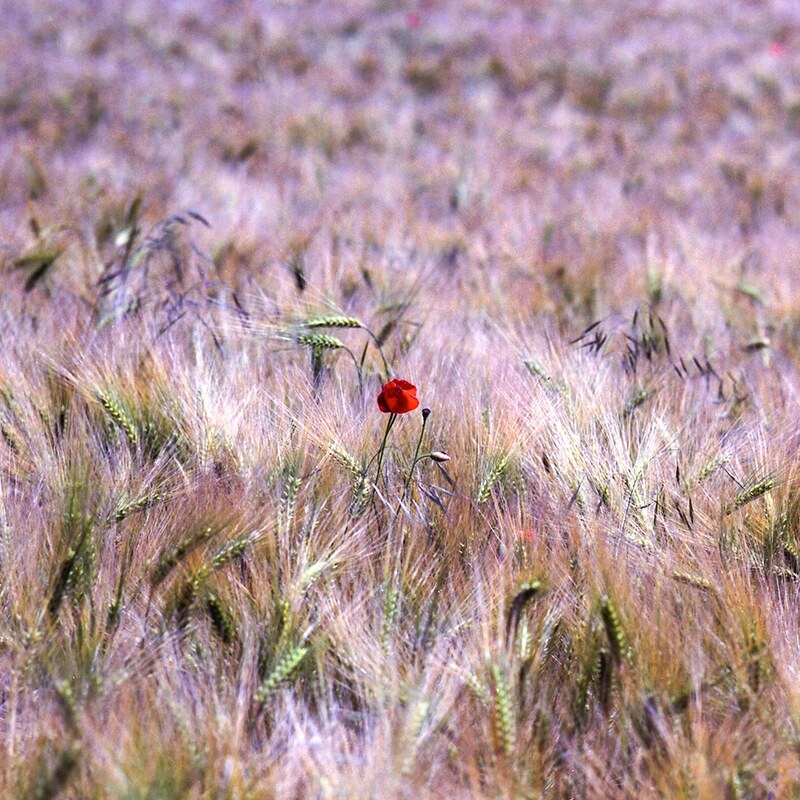 Likewise this photo of a poppy – by keeping the sky, the fence, the hedgerow and the other poppies in the field out of my frame I have composed an image that consists of only that which I want in the frame, the field and a single poppy. It’s worth noting that bright things attract our attention, red things attract our attention, and dark things on white backgrounds attract our attention. Our brains are hard-wired to search for the anomalous, the disparate, the contrasty. For this reason we need to be aware of the elements in our image that are the strongest. Ask yourself, will our viewers eye be pulled to the white triangle of sky at the top of the frame instead of the poppy we wanted them to see? By keeping it out of the frame we keep our viewers attention on our chosen subject. Once you have decided want you want to photograph, (and what you don’t), you need to place it in the frame. There are number of compositional rules that you can follow when you are putting your image together. The close central crop of the image above includes and excludes all the things I listed above and yet manages to lack drama or punch. The centrally located subject seems to deaden the image. By dividing the image into three vertical and lateral slices we find four points of maximum drama. By placing our subject on one of these points we preserve the surrounding drama, the negative space. This is known as the rule of thirds. (If you look closely you can see an overlay of the slices and the points of interest that they denote). 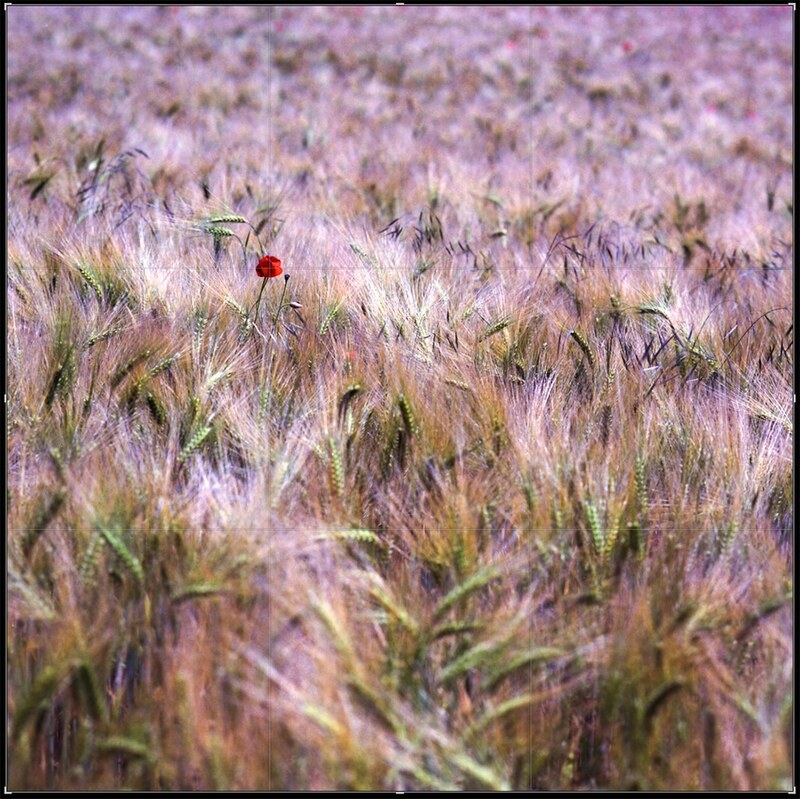 This is the final crop of my image, the one I was shooting for in camera – you can see that I’ve placed the key subject of the image, the poppy, where two of these slices, or lines intersect. The image has the time and space necessary for it to breathe, the focus has time to sharpen and blur in the fore and background guiding the viewers’ eye to the subject of our scene. There are a collection of rules you can experiment with, ‘Leading Lines’, ‘the rule of odds’, ‘the rule of fifths’, and the ‘Golden Section’ to name but a few. There are other things you can do to push your composition further – you could use depth of field to make the area of interest as explicit as possible as I have above. 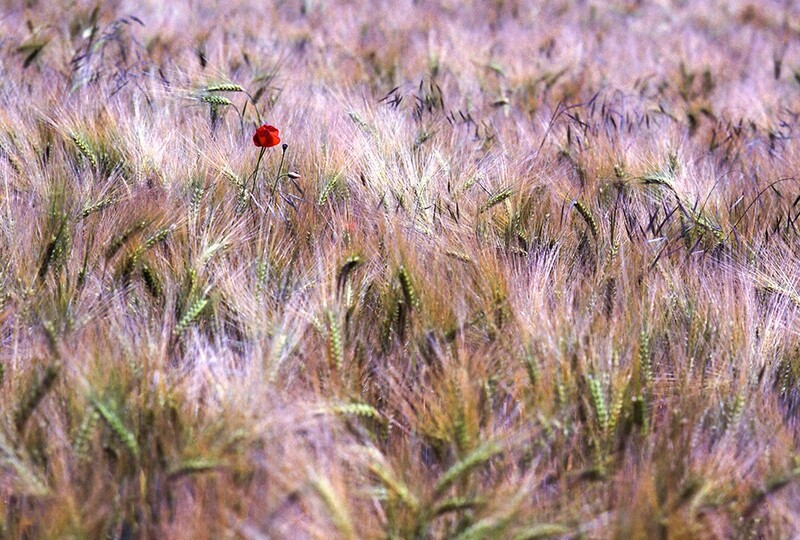 Another option would be to tune the shutter-speed, capturing some movement in the barley across the exposure. Photography is a creative process, with a fair few guiding principles. You shouldn’t be afraid to experiment and to break or bend these rules, but knowing what they are and how they work can help take the picture you had in your head and get it on to your sensor.